This Banana Bread recipe allows you the treat of having a delicious banana bread fix, without all the guilt! 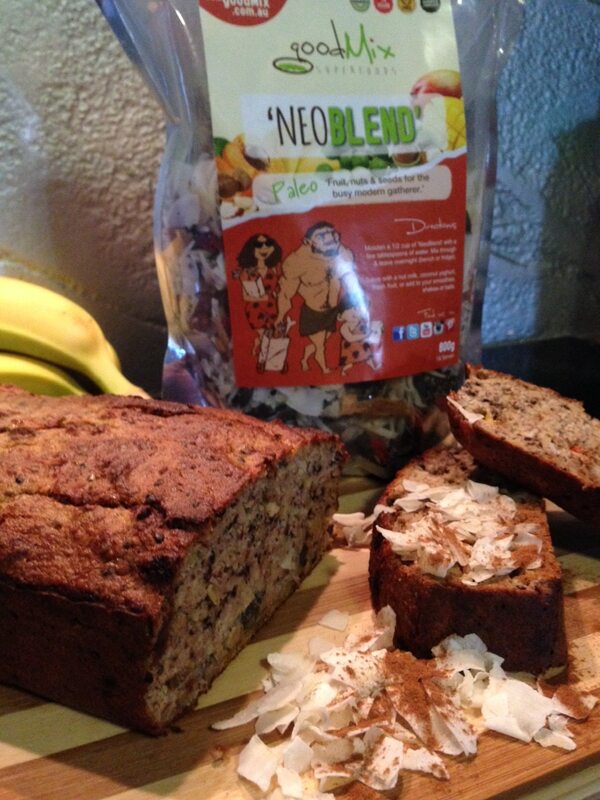 The natural sugars and moisture of the bananas combine perfectly with the paleo Neoblend nuts and seeds to provide a low GI gluten free desert. 3. Mix baking soda and lemon together and add to liquid ingredients. 4. Add in the almond meal and NeoBlend and mix well. Makes 1 loaf serves 10-12. Recipe by Emma, Taste tested by Tom.